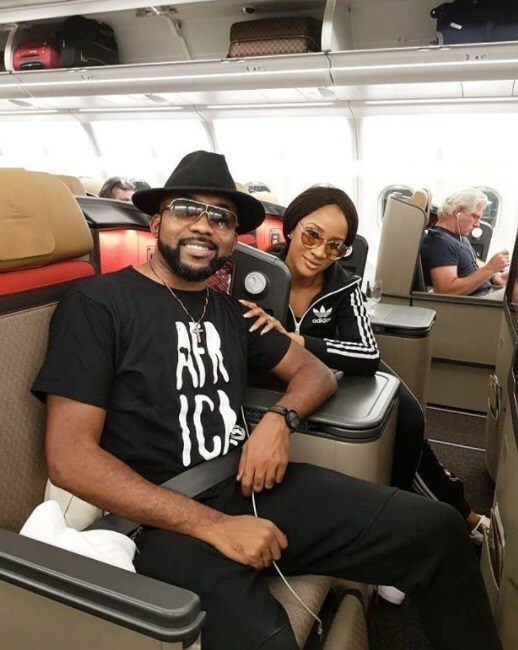 Banky W and Adesua Etomi who had their traditional marriage over the weekend and a private civil ceremony yesterday has flew out of the country to Cape Town,South Africa yesterday night. Their white wedding is going to take place this weekend in South Africa. 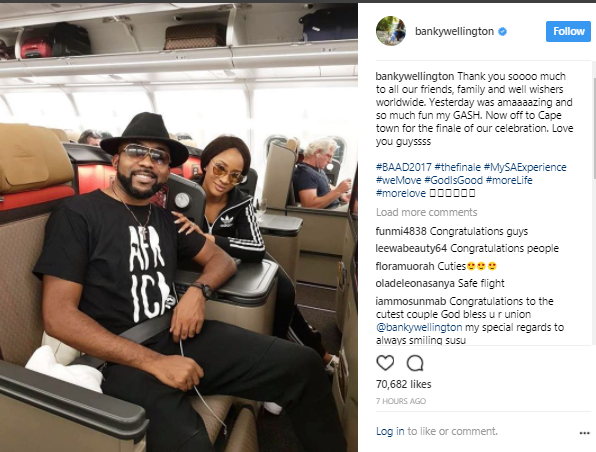 “….And we’re off to Capetown #mySAexperience #BAAD2017 #Finalstep #tooexcited #ohmylawddd ?? ?,” Adesua captioned the photo above.